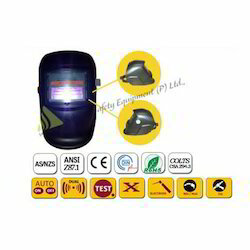 We are a leading Distributor / Channel Partner of welding helmet from Chennai, India. We hold expertise in trading, distributing and supplying impeccable quality Welding Helmet. The offered helmet is designed using the finest quality raw material and advanced technology at vendors’ end in sync with industry norms. Used in various electrical industries, our quality examiners test this helmet against different quality measures so as to ensure its quality. In addition to this, we offer this helmet in different designs sizes and designs as per the needs of our clients. Looking for Welding Helmet ?